Each merchant is to make 2 gifts, one that will be solely for RFL Charity & the other for personal profit. The RFL item will be for $3L with ALL profits going to the American Cancer Society. The "Me" item will be for $1L with the profit going to you, the merchant. So with that said, lets talk gifts. - Gifts may be items already made but texture/color must be exclusive to hunt! Now that gifts are covered lets talk theme! Polka Dots, Stripes, Swirly things oh my! - Stripes, Dots & Swirlies are just examples. Be creative! It has come to my attention that at some point in Aug, maybe end of July that RFL vendors will no longer be available, so we are going to ride until the wheels fall off! 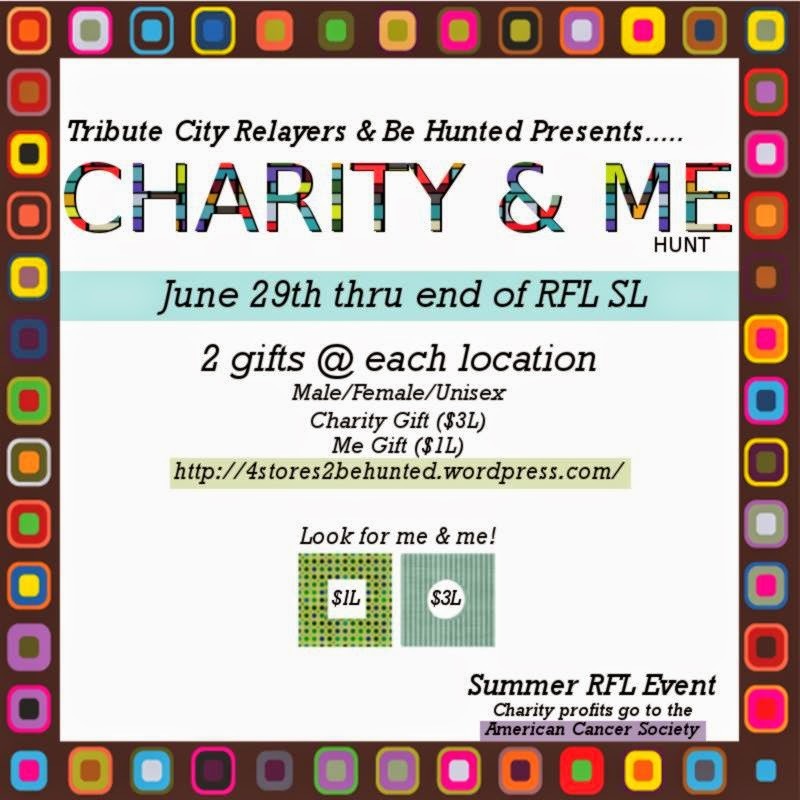 I am asking that all merchants, for the good of charity leave out their RFL vendors until RFL SL has come to an end. Again could be end of July or sometime in August. Still with me? Of course you are! Return application & lets do this thang! !